Loan modifications for California homeowners has become less a rarity in recent times. A loan modification is an enforceable contract between the borrower and lender, and as long as the borrower performs, they will be able to keep the property. However, now as before, lenders lose track of the status of their relationships with their borrowers, and may not realize that a mortgage has been modified. Recently, the federal Court of Appeals, 9th Circuit, found that a lender who forgot they modified a loan, and began foreclosure proceedings, could be in violation of the Equal Credit Opportunity Act requirements for adverse actions by lenders. In Schlegel v. Wells Fargo Bank NA, the borrowers took out a $157,000 loan in 2009 secured by their home. The loan and deed of trust were assigned to Wells Fargo. There was trouble, they went into default, and filed bankruptcy. Wells Fargo proposed a loan modification which extended the maturity date for the loan, and retained the same interest rate. The bankruptcy court approved the modification, and a bankruptcy discharge was granted. Wells Fargo quickly sent the borrowers a default notice, saying that the loan was in default for failure to make payments – the letter did not take into account the loan modification. 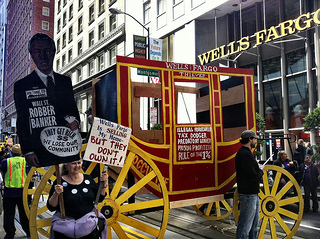 The borrowers contacted Wells Fargo, who told them not to worry. The borrowers continued to make payments as per the loan modification. Of course, Wells Fargo continued to claim they were in default and accelerated the loan, and then claimed that there was no modification. The borrowers filed this lawsuit. The borrowers claimed that Wells Fargo’s acceleration of the loan (calling the entire balance due) was an adverse action taken without giving the required notice. It revoked credit when it canceled the right to defer payment of the debt. The court agreed- based on Wells Fargo’s non-responsiveness to the borrowers, and acceleration of the debt, the borrowers had made a claim that the bank terminated the loan modification agreement and thereby revoked the borrower’s credit for purposes of the ECOA. Wells Fargo argued that the default notices did not terminate the loan modification agreement, and thus had no binding effect, but the court said forget it. Violating the loan agreement by sending the default notices was an adverse action, and the borrowers were entitled to the required statutory notice. Violation of the Equal Credit Opportunity Act makes a lender liable for any actual damages sustained by the plaintiff. §1691e. Here, the plaintiffs alleged severe emotional distress, including worsening the effects of post-traumatic stress disorder. Damages are also available if they can prove harm to their reputation for creditworthiness, and for attorney fees if they prevail.